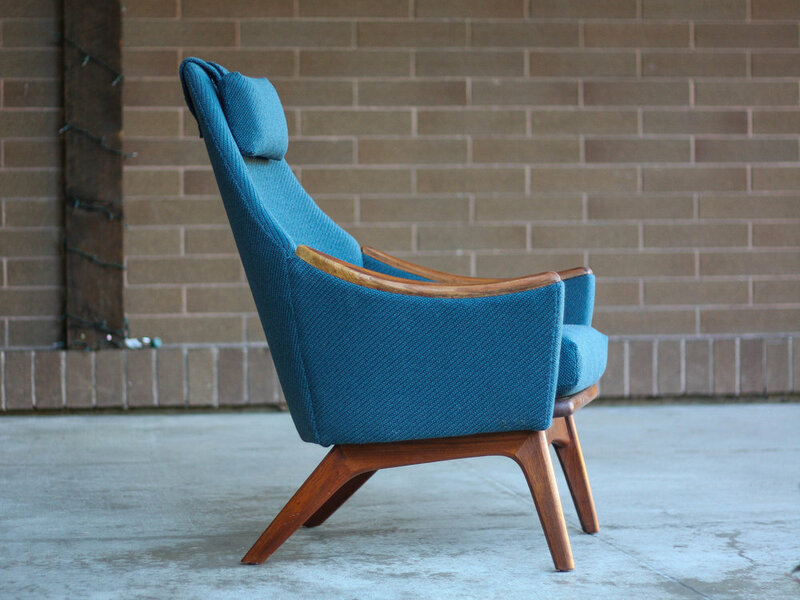 Check out this beautiful Adrian Pearsall model 1808-C High Back Lounge Chair. 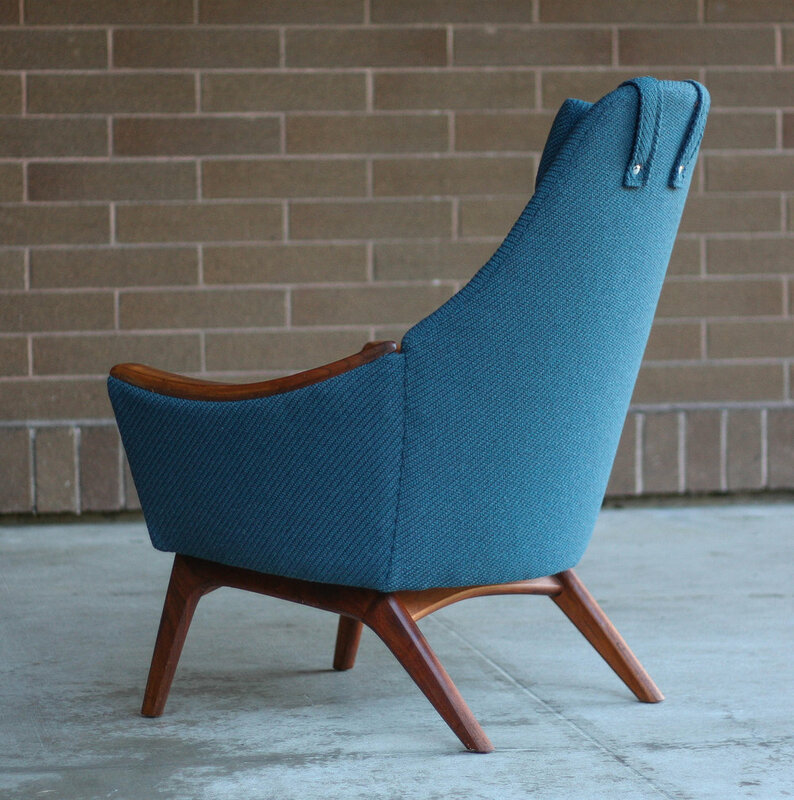 Danish modern style from one of the great American MCM designers. Walnut arms and base add a nice warmth and organic asthetic to the piece. 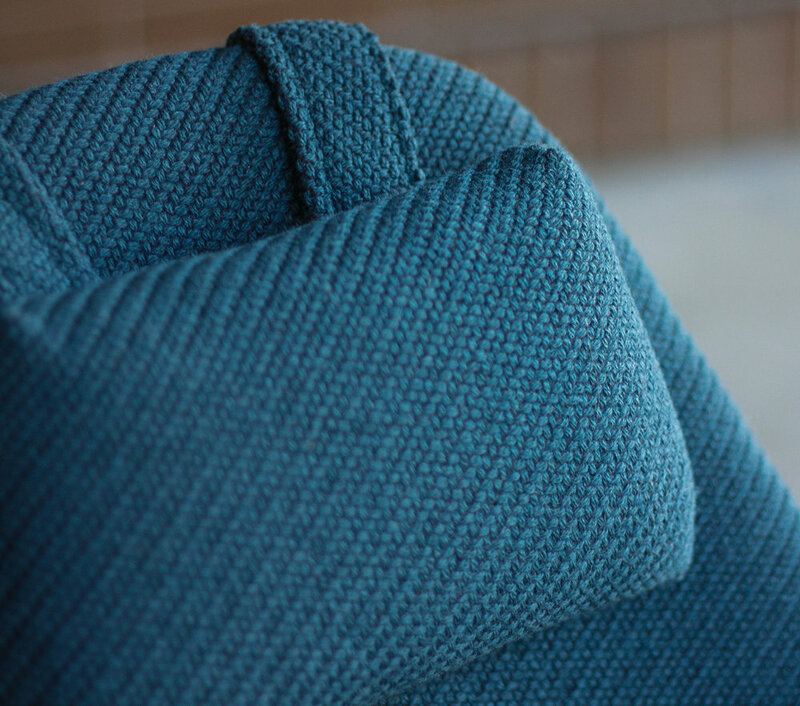 Reupholstered in Maharam Coda wool fabric which is period appropriate, stunning, and the perfect compliment to this piece. Condition: New foam, fabric, and straps ensure this chair will be good to go for another 50+ years. The solid walnut will show light signs of use as expected with a vintage piece, but as noted in the photos, the chair presents wonderfully. Original Craft Associates ad included at the bottom of the images.